Accidents and injuries are never convenient. That’s why the expert providers at Revive Medical Urgent Care treat personal injuries on a walk-in basis at their location in Oklahoma City, Oklahoma. Revive Medical Urgent Care is open seven days a week until 8pm and offers a full range of timely medical services. If you need prompt medical care for a car crash or other personal injury, call, book online, or walk in today. When should I seek urgent care for a personal injury? If you or a loved one had an accident that resulted in personal injury, the team at Revive Medical Urgent Care can help. They provide fast and reliable care for injuries that don’t require emergency medical attention. Revive Medical Urgent Care offers same-day treatment without making an appointment ahead of time. Often, hospital emergency departments can make you wait an hour or longer. Revive Medical Urgent Care offers similar services with a minimal wait time. For situations when you can’t schedule a same-day appointment with your primary care physician but don’t need emergency treatment, Revive Medical Urgent Care is your best option. However, they aren’t an emergency facility. For severe, life-threatening injuries, call 911 and get to the nearest emergency facility right away. What types of personal injuries require urgent care? Revive Medical Urgent Care offers convenient, on-site medical services, including digital X-rays and EKGs. What are the benefits of going to an urgent care clinic for personal injury? Many times, accidents such as a car crash result in injuries that need same-day treatment but aren’t considered life-threatening. 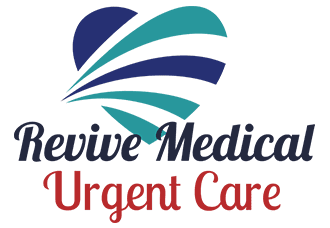 Revive Medical Urgent Care reduces the long wait time and the high cost of emergency room visits while providing effective treatment for a wide range of injuries. Faster treatment may decrease your recovery time and relieve any pain or symptoms that accompany your injury. Additionally, Revive Medical Urgent Care is open when your primary care physician isn’t, even during evenings and weekends. Since accidents don’t always occur during business hours, Revive Medical Urgent Care provides accessible treatment to patients without an appointment. They also accept most types of health insurance and credit cards. For patients who choose to self-pay, Revive Medical Urgent Care offers a special discount. If you had an accident that caused a personal injury, call or book online, or walk in for fast and effective treatment today.